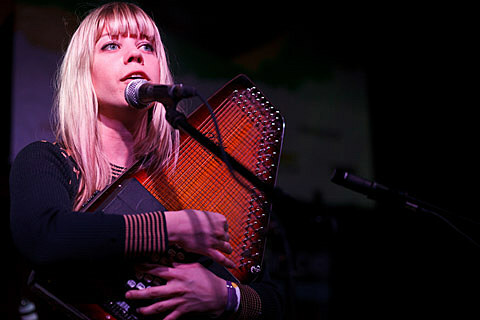 Toronto singer/songwriter Basia Bulat has announced that she’ll release her fourth album Good Advice on February 12 via Secret CIty Records. My Morning Jacket’s Jim James produced it and Basia released a 30-second trailer with a clip of atmospheric music, which so far is all we know about how it sounds. Check out that trailer below. UPDATE (10/30): The first single “Infamous” is out now and streaming below. Basia will be touring in support of the new album, and hitting NYC on April 1 at Bowery Ballroom. Tickets for that show go on sale Friday (10/30) at noon.